Microsoft today launched the final version of Office 2016 and it’s available for download now. Here’s how to upgrade your Office 365 version today. Microsoft today launched the final version of Office 2016 and it’s available for download now. We have been covering the Office 2016 Preview here for the past few months, but now the official version is ready to roll. The latest version includes a lot of new powerful features and works on Mac, PC, Android, iOS, and Windows Phone. 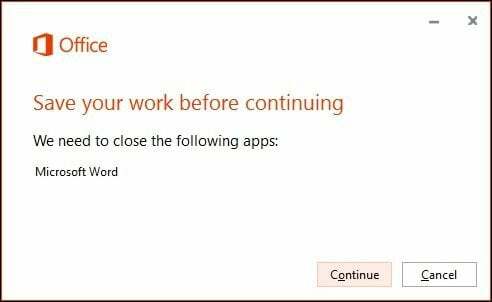 If you are an active Office 365 subscriber, you should have immediate access to the latest version of the suite which includes 2016 versions of Word, Excel, Outlook, PowerPoint, Access, and Publisher. 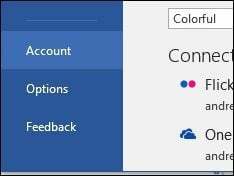 I have been evaluating the latest versions and I like some of the improvements such as Outlook Groups, Tell Me and improved user experience. You can check out some of the other cool enhancements in our article here. Microsoft Office has come a long way from the days of shrink-wrapped boxes, discs, and thick manual. With just a click of the mouse and a little bandwidth, you can have the latest version of Office installed in no time. If you want to purchase Office 365 for a new computer, check out our instructions here. Launch any of the Office 365 applications such as Word 2013, and click Update Now button on the banner that appears. If you don’t see the banner, click File > Account. Click the Update Options button and then click Update Now. 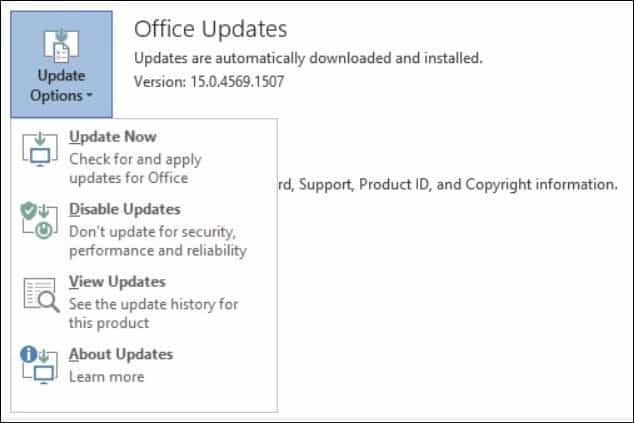 If you are running any Office applications, you will be asked to close them before the update continues. Then wait while the setup wizard begins and completes the installation. The amount of time it takes will vary between systems based on bandwidth speeds, hardware…etc. When setup is complete, you can check to see your current build which will change as new updates are released. 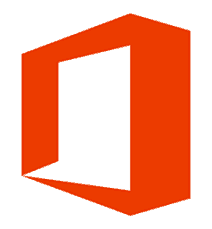 Office 2016 is also available as a perpetual (non-subscription) license. 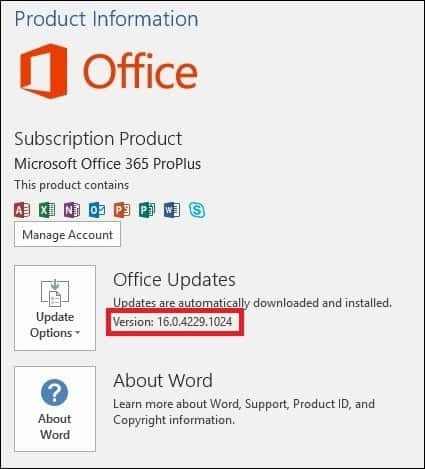 Please note, if you are using a perpetual version of Office 2013 or earlier version, you will need to purchase the latest revision. I believe with Microsoft pushing the latest features to Office 365, now is a perfect time to switch to it and get more bang for your buck. Not to mention that it’s affordable, too. Of course, if you don’t need the latest and greatest, then you can stick with the perpetual license which is revised 18 to 24 months. 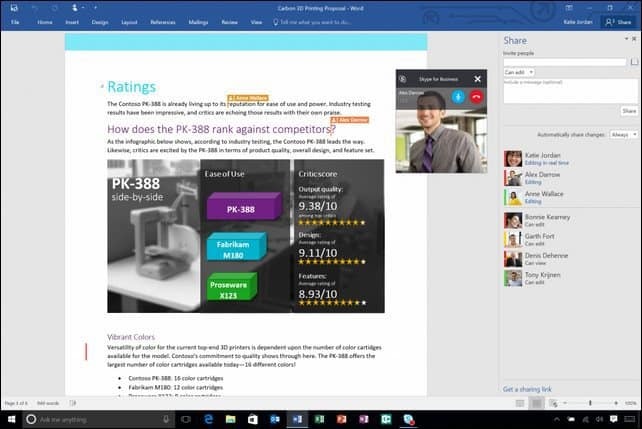 Here’s a look at a promotional video for Office 2016 in the video below. Office Home & Student 2016 (Mac or PC) includes the essentials…Word, Excel, PowerPoint, and OneNote is $149.99. Office Home & Business (Mac or PC) includes Word, Excel, PowerPoint, OneNote, and Outlook is $229.99. Office Professional 2016 (Windows only) includes Word, Excel, PowerPoint, OneNote, Outlook, Publisher, and Access is $399.99. You can find out more and purchase Office 2016 here.